Every year we all celebrate Thanksgiving but do we really know why we are celebrating? On the second week in October Canadians join in on the festivities but Americans celebrate Thanksgiving on the forth Thursday in November. In both countries the reason for celebration is in appreciation of the harvest this year and the following year. In the spirit of the season we are grateful for the harvest and would like to invite you to celebrate Thanksgiving with us. 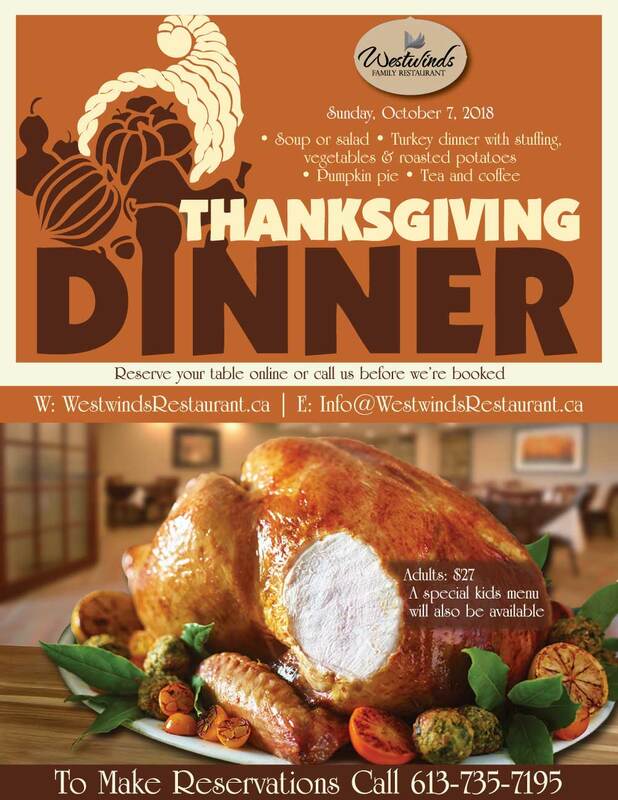 We’re having a freshly prepared Thanksgiving dinner Sunday, October 7th, 2018 and you’re invited. If you are reading this message the Thanksgiving dinner has now expired. Please check back again next year. Are you having a Thanksgiving buffet this year? If so is it the same as last year? We will have a baby that turned 1 on Sept 01/2016, she only eats baby food still as only 4 teeth, Would there be a charge for her as she would NOT be eating your food? Hi Elaine: We have just updated our thanksgiving buffet now. Please feel free to give it a read. Your child would not be subject to any cost.